When we come to August, we know we´re in for the Daily Tropical Rains, warm weather, Humidity and Monster Fish. Yes that´s right amigos, as the water temperatures and air temperatures peak in August and into September we enter into peak season for finding monster fish in Puerto Vallarta’s world famous fishing grounds! Fishermen all over the world know that this is the time of year to be at El Banco or Corbeteña. The water is crystal blue with perfect water temperatures between 81 and 90 degrees. Bait is abundant with Skip Jack and Football Yellowfin Tuna with Flying fish as the ¨cherry on the cake¨ which is perfect if you want to target world class gamefish like we have now. Don´t forget that Sailfish ¨own¨ Puerto Vallarta in August as well as they move into the areas like El Morro, Punta Mita and Sayulita. From now until mid January will find these spectacular game fish in abundance all around Puerto Vallarta´s fishing grounds. 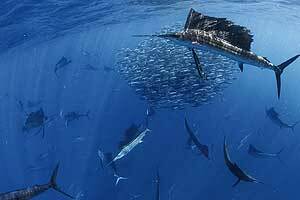 With the proper conditions Sailfish will also come into the bay around Yelapa towards the point of Cabo Corrientes. But the real Story is our Yellowfin Tuna. Come August we´ll see them hit sizes in excess of two hundred pounds of pure fight and bad attitude. 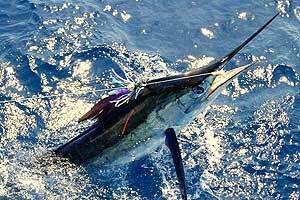 Sportsman in PV have the ¨Bucket List¨ opportunity to boat what has become one of the most sought after gamefish in the world now. 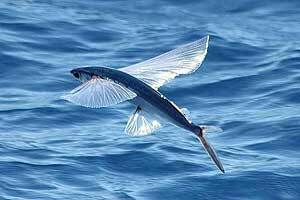 Now we also have Blue and Black Marlin picking up in size as well. You can expect a ten to twelve our day on the water to present you several opportunities to Hook into a 600 lb or larger Blue or Black Marlin. Frankly they ´re in that range now in early August so we can hope and expect for conditions which are already close to perfect to only improve. Rare Marlin can weigh in close to a thousand pounds if you are lucky! August also marks the return of the Holiday and Vacation season for the nationals as the takeover Marina. With Special Hotel Rates, Specials of all kinds around Marina Vallarta I would like to extend an invitation to explore the other Malicon in PV, the Malicon or Boardwalk in English in Marina Vallarta should not be missed. See what the Nationals know and love about our fair city and our fishing here in paradise.